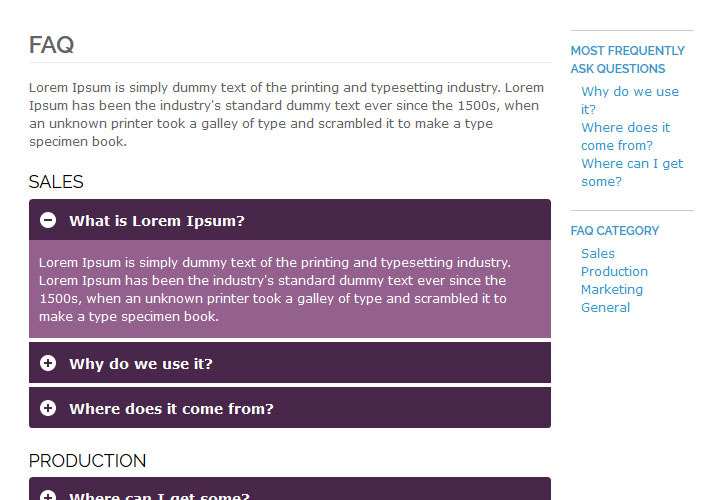 Accordion FAQ Extension allows you to create category wise FAQ page easily, so it will helpful to find quick solution for your customer common questions. Accordion FAQ extension also allow to your customer to ask their common question by filling simple Ask Me a Question Form. FAQ extension protect you from spammer to submit spam questions by google captcha verification. Accordion FAQ extension also allow widget facility to put your question and answer list on any CMS page or static block with ask me a question form. 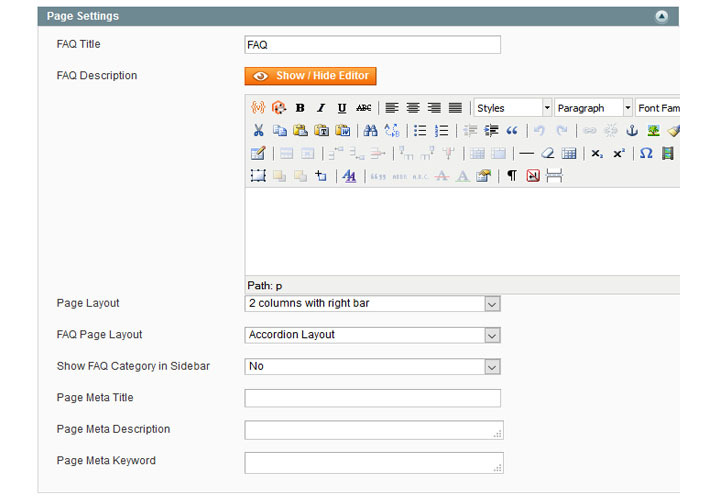 Admin has complete control and easy to manage Accordion FAQ extension from admin panel configuration. 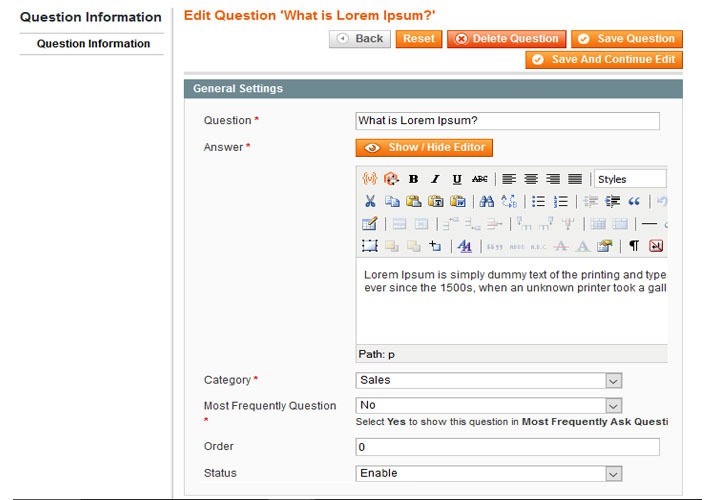 Admin can also able to determine which category question and answer showing on any widget Accordion FAQ extension also provide multiple layout i.e. 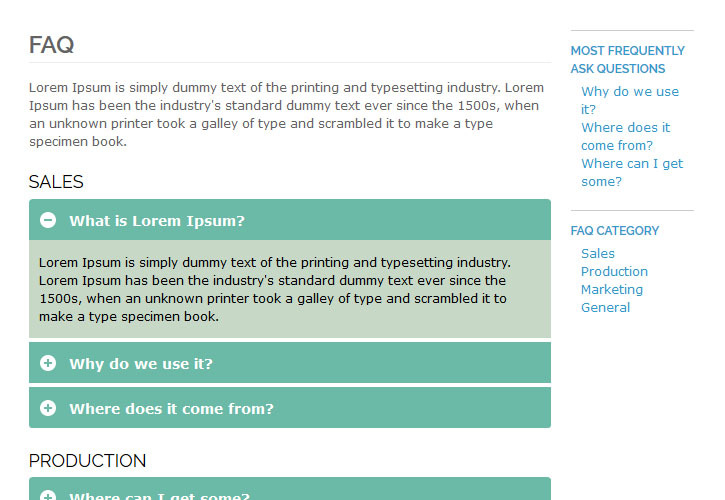 simple FAQ layout and accordion FAQ layout for question and answer list. Admin can easily change FAQ page layout either simple FAQ listing or accordion FAQ listing layout. Accordion FAQ extension allow to show FAQ listing on CMS pages or static block by using Accordion FAQ widget. 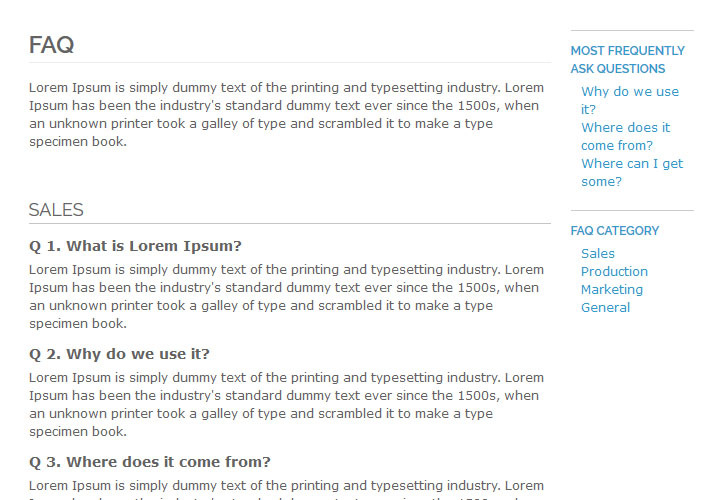 You can also simply put following code to any CMS page or static block to show FAQ list. In above code category_id represent your FAQ categories. 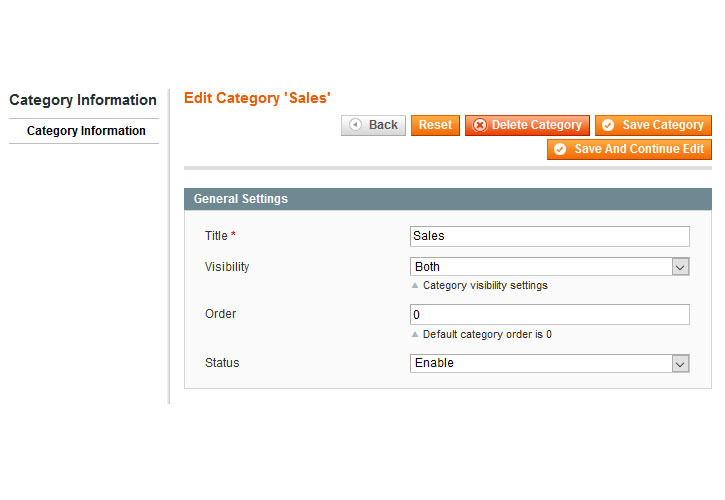 If you not write category_id attribute it will show all categories on page. 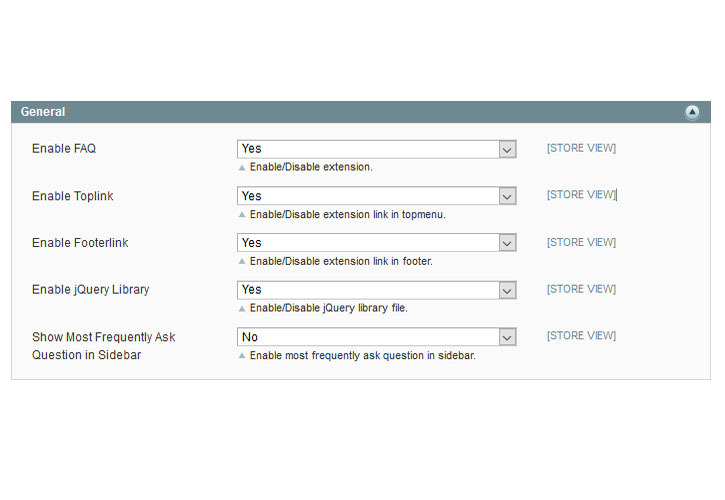 And if you want to show particular category in widget than specify categories id with comma separated. 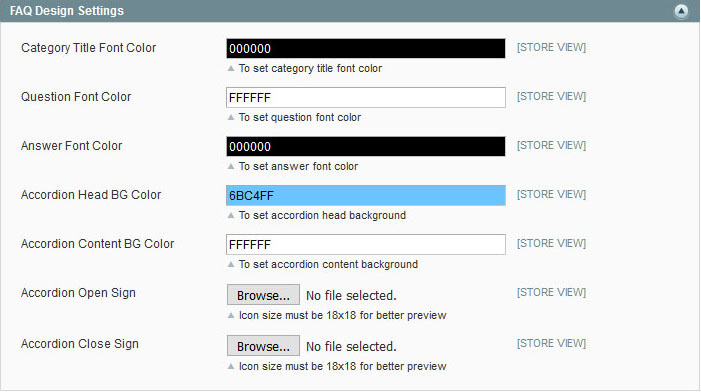 You can also define FAQ Listing layout using faq_template attribute use “accordion” for accordion layout or “simple” for simple layout. 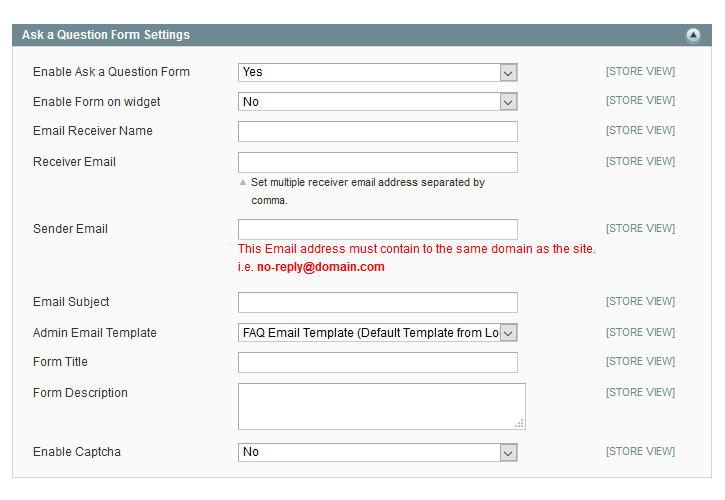 After installation of this extension clear all magento cache and Logout then Login again for complete installation process. Otherwise you will get 404 error.